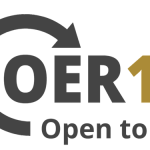 EdShare is powerful digital repository solution optimised for open education. Whether for your school, project, collaborative network, institution or organisation and whether you intended to share your resources locally, regionally or world-wide, EdShare can be customised to meet your needs. EdShare allows you to host, organise, share and collaborate on teaching and learning resources in one place. EdShare is built upon the open source repository software EPrints which is supported and developed by the University of Southampton. EPrints, originally released to the community in 2000, is a tried and tested research repository system used at over 200 institutions worldwide. EdShare transforms the traditional repository into a more dynamic, interactive environment. Heavily influenced by web 2.0 social media sites, EdShare offers features including inline previews, user community profiles, collections and tagging. See the Features section for more detail. The original version of EdShare was created in 2008 as part of a EdSpace and OneShare projects. The latest version of EdShare, aka EdShare2, is developed and maintained by EPrints Services in Electronics & Computer Science at the University.